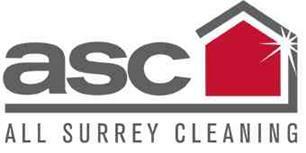 All Surrey Cleaning - Cleaning Services based in Epsom, Surrey. Invoice history based on 66 reviews. Welcome to All Surrey Cleaning. ASC is a family run business providing a range of services such as end of tenancy cleaning, office cleaning and cleaning of communal areas of residential flats. ASC was established in 2005 and has plenty of experience in these fields, our staff are uniformed, fully insured, very professional and take a lot of pride in the service they provide to our clients. We beleive that choosing ASC to meet all your cleaning needs you will get an excellent hassle free service at a surprisingly low cost. Our aim is to be known locally as a good and reliable company who take pride in their work and dont charge excessive amounts for it. As a small business we can deliver the outstanding results you expect with a personal and friendly touch, satisfaction gauranteed. There are a lot of cleaning companies to choose from, so choose one that cares. Free phone ASC for a free quotation under no obligation.